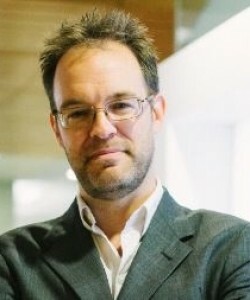 Jean-François Blanchette is Associate Professor at the Department of Information Studies, University of California, Los Angeles (UCLA). He will be hosted by Rémi Boivin during his stay at the ICCC. Blanchette, J.-F., Running on Bare Metal: A Material History of Bits, under contract and final review, University of Chicago Press. Blanchette, J.-F. “Computing’s Infrastructural Moment,” in Regulating the Cloud: Policy for Computing Infrastructure (Christopher Yoo & Jean-François Blanchette, eds. ), pp. 1-19. The MIT Press, 2015. Blanchette, J.-F., “From Digital Exceptionalism to Computational Scarcity,” New Geographies 7: Geographies of Information. (Taraneh Meshkani & Ali Fard, eds. ), pp. 21-27. Harvard University Press, October 2015. Blanchette, J.-F., Burdens of Proof: Cryptographic Culture and Evidence Law in the Age of Electronic Documents, The MIT Press, 2012.